The winners of this year’s Trimble model competition for Deutschland, Austria, and Switzerland have been named. First place for the outstanding application of Building Information Modeling Software (BIM) was awarded to the company Methabau for its newbuild of GoEasy, a recreation, sports, and event center in Siggenthal, Switzerland. 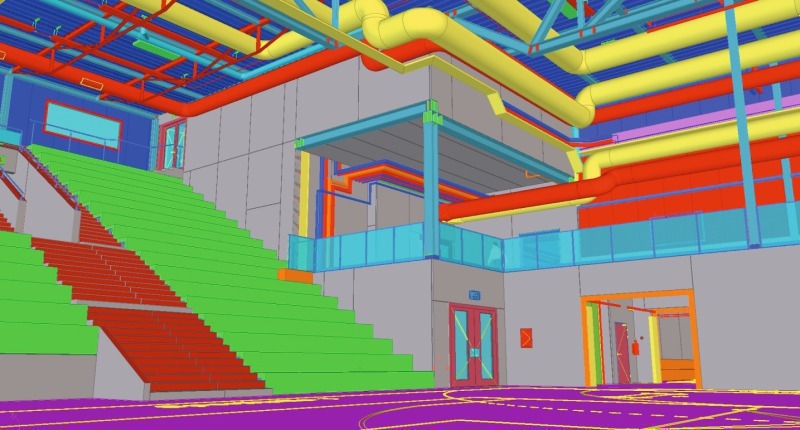 The planning and design phase was followed by detailed preparation of construction documents for the entire steel and precast construction with the BIM software Tekla Structures. Second place went to the newbuild of a multistory car park with 838 parking spaces in Sengenthal, Germany. The company Max Bögl, in addition to Tekla Structures, also applied Trimble Field Link software together with Totalstation Trimble RTS773. With this system it is possible to peg out required points from the BIM software at the construction site and, at the same time, confirm actual points in Tekla Structures and to determine possible deviations. Installed project building components included 936 precast elements and 1,200 tons of in-situ concrete. 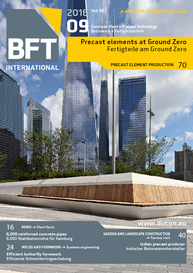 Thanks to BIM-based planning, it was possible to erect the precast elements two weeks ahead of the scheduled deadline. Third place was awarded for a project by the consulting engineers Bau-Consult Hermsdorf, Germany. The newbuild of a production building for the company Getzner Textil Weberei GmbH in Gera, Germany, was planned and designed with Tekla Structures. The project comprises four weaving rooms as well as preparatory and after-treatment areas, logistics integration, as well as administration and social rooms. BIM software was used already in the tendering stage and enabled an extremely high degree of detailing: for example, exact data on the quantities to be expected at an early stage. Changes to planning and design could be readily communicated and implemented by linking the model and the plans. Tekla DACH BIM prizes were awarded by a jury of experts from Germany, Austria, and Switzerland. In addition, the results of a public online vote were included in the assessment. 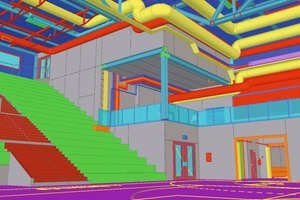 The winners of the competition will attend the Tekla Global BIM Awards at the end of the year.